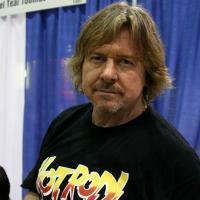 User Rating Roddy Piper received a rating of 81.870 percent from our users. With this rating, Roddy Piper is positioned at rank #543 in our Wrestler Ranking. Our spindoctors bibliothekar, Big Boss Man, buumis, Cosmo, DarkMarwin, Delta Romeo, dropkickmonkey, frozenarea, GracieHunter, Hawk2912, Jacoob Cass, Kiez Richards, Maracaibo, meshugge_bin, murge9, pizzaflizza82, Pudding67, Rengal, shane, Snuka, Spankster 3:16, Ultimate, Viperwarfare, whatti, ycg and 99 other spindoctor awarded the top grade to Roddy Piper. Our spindoctors geoffrey10 and sewan gave the worst grade to Roddy Piper.